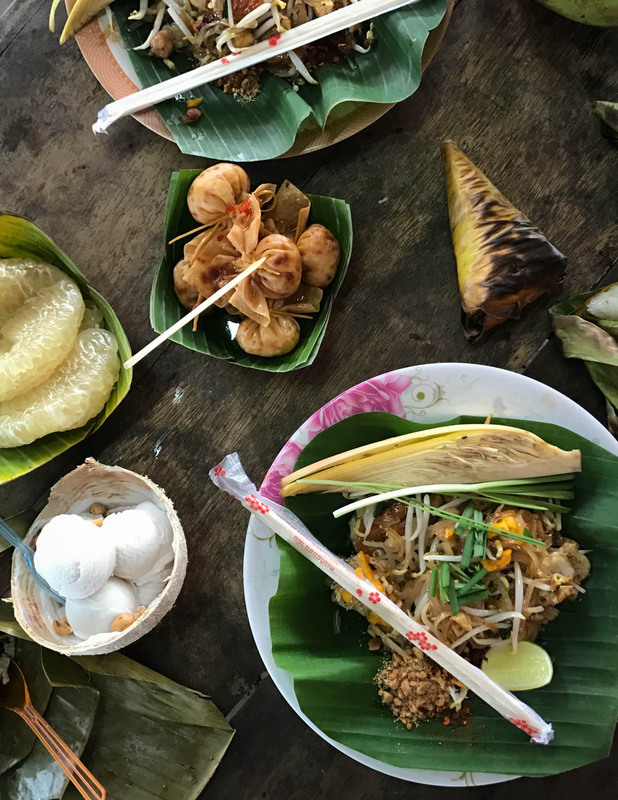 If you’re spending a few days in Bangkok, it’s definitely worth venturing outside the big city for a day, and visit a floating market. 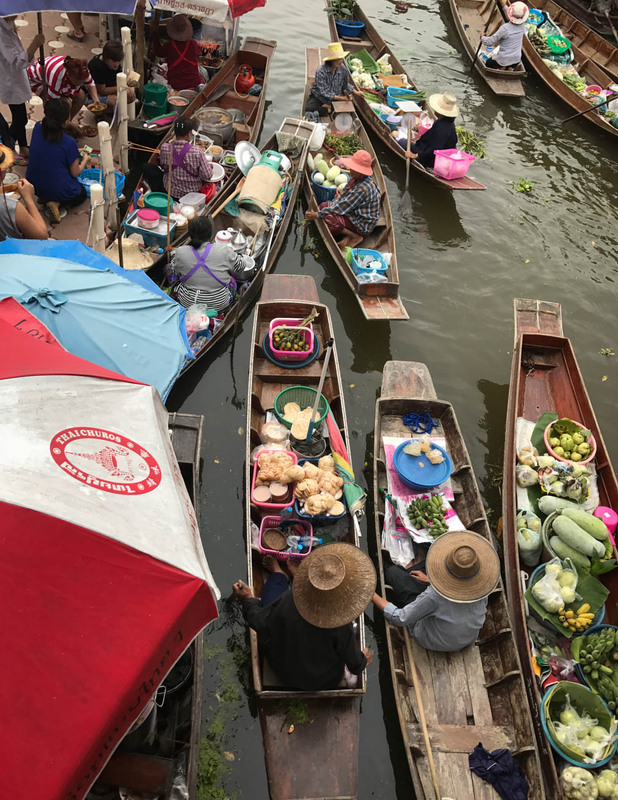 One of the most famous floating markets is Amphawa, which drawns hordes of tourists every day. 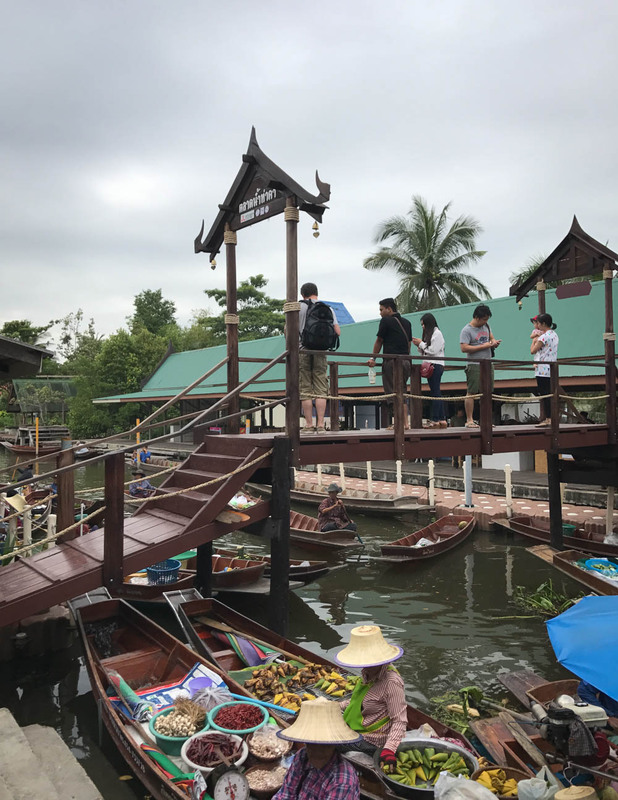 Since I prefer to go a bit off the beaten track on my travels, I’ve been visiting Thaka floating market on a few occasions. 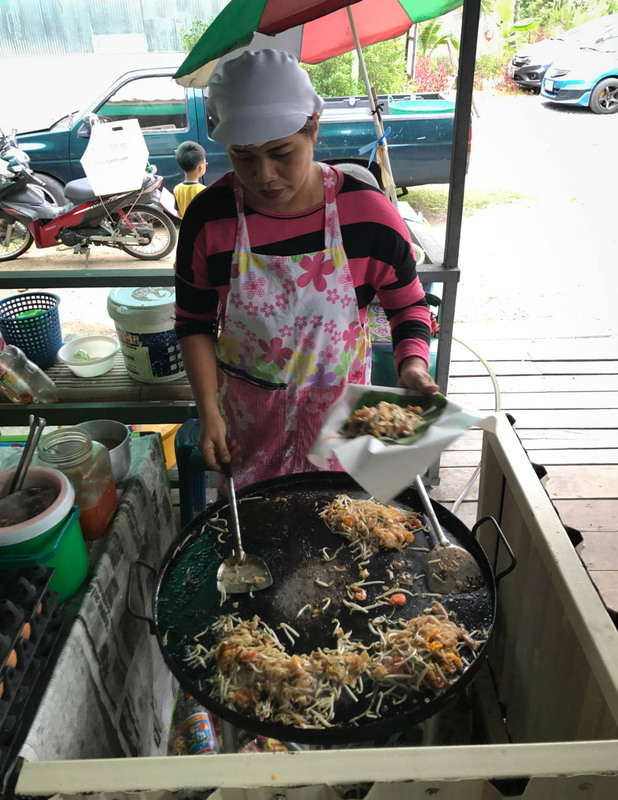 This is a much smaller market, which is still being used by locals on a daily basis to do their shopping. 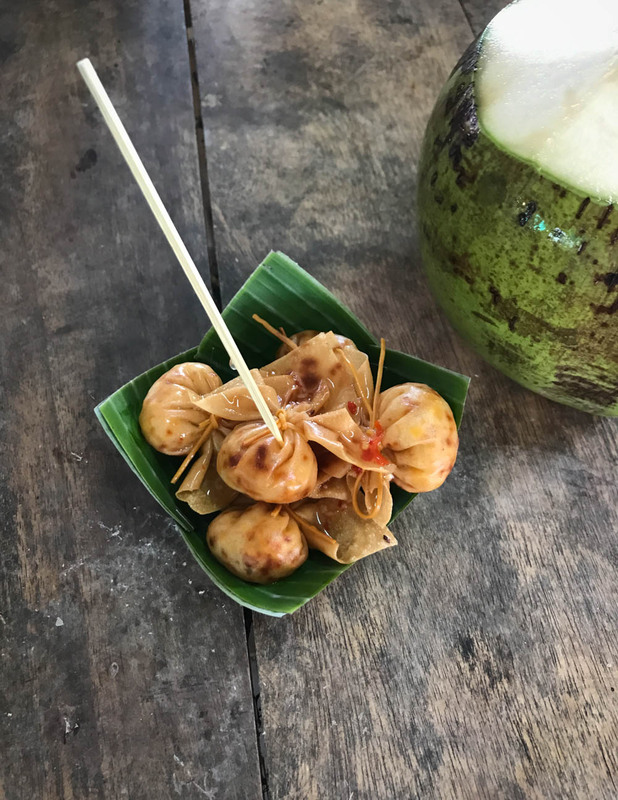 You’ll find amazing palm sugar here, fresh fruit and veg and lots of freshly-cooked streetfood. It’s best to book a tour to get to Thaka – I’ve been visiting with my friend Chin of Chili Paste Tour. You can watch us explore the market in this episode of my show.